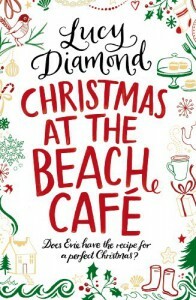 Having just enjoyed “The Beach Café” by Lucy Diamond, I was so happy to see that my Beach Cafe adventure was not yet over when I came across both “Christmas at the Beach Cafe” and “Christmas Gifts at the Beach Cafe”! I am not a big fan of buying Kindle books. I have a Kindle as I inherited it off my mum when she decided to buy a Kindle touch instead, but I can rarely ever bring myself to buy ebooks, I still much prefer to have the physical book in my hand, and plus, they look great on my book shelf! But I know some books, such as these ones are Kindle only. My only complaint about the book is that I wanted it to keep going! I didn’t want it to be as short as it was. I loved reading Christmas at the Beach Café. Following on from the Summer at the end of The Beach Café, Christmas arrives at Evie and Ed’s beach café. But it isn’t just Christmas that arrives… Evie’s best friend Amber turns up, Ed’s brother turns up and Evie’s parents all turn up in time for Christmas. With tempers flaring between Evie and Ed’s brother Jake, will Christmas be the cosy holiday that Evie wanted alone with Jake? How short it was… I want more of Ed and Evie! 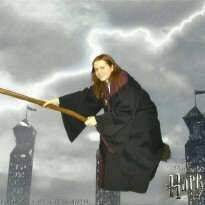 All in all, I loved the book. Even through its set at Christmas and I read it in the middle of the summer! Great book, highly recommend!